Art is a part of everything we do, not just something we consume. As a self-proclaimed creative, I have always wanted to believe that art is something more than just entertainment, a hobby, or a past-time. For as long as I can remember, it’s encompassed nearly every aspect of my life. My drawings have allowed me to express what can’t be expressed in words. My writing has taken me on new adventures. My photography has restored my sense of awe of the world. I’ve always wanted to believe that art is more than just something we consume, and last Thursday, that belief was reaffirmed. 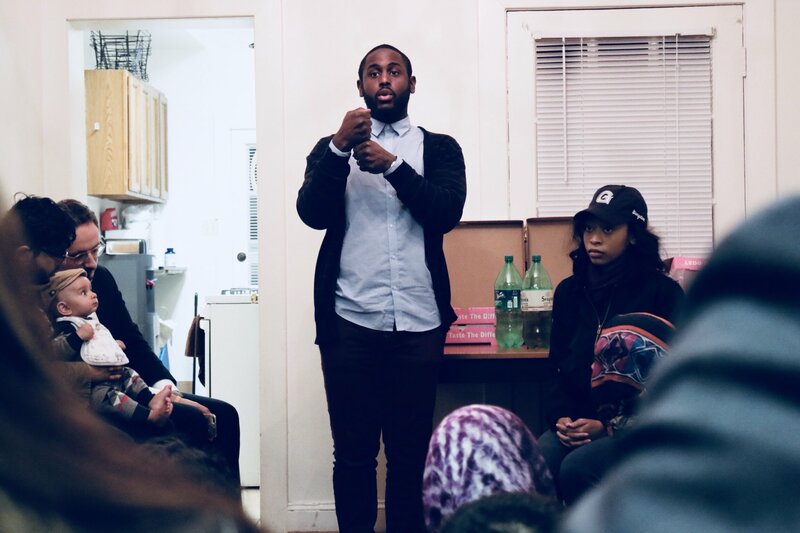 Situated in the warmth and comfort of the Black House, I and student representatives from the Muslim Students Association (MSA), Black Student Alliance (BSA), African Society of Georgetown (ASG), and several other student groups gathered with Tariq Touré for a discussion on Islam, Blackness, and Resistance. Touré, an author, advocate, and poet, recited one of his recent poems featured on AJ+, and led an open discussion. While the discussion touched upon issues such as race, religion, and activism, a significant portion of it was dedicated to the arts, which have proven to be helpful in several areas. First, the arts are a good framework to start dialogue. When Touré’s poem was first featured on AJ+, it expanded larger discussions on police brutality and ongoing NFL protests. Even the discussion we participated in was preceded by a poetry recitation. For difficult conversations, especially ones where different groups are brought to the table, art serves as a powerful catalyst. In addition to creating dialogue, the arts also have a healing aspect. As I found out during the discussion, I was not alone in my challenge to create art about joy. A fundamental challenge many artists face is balancing art about joy with art about pain. It has even gone to the extent that some artists feel they cannot produce art if it is not the result of some painful or traumatic factor. It is possible to produce art without draining ourselves in the process. It is also possible to produce art that focuses on accomplishments, celebration, and progress. One of the most profound parts of the event was our discussion of the imposter syndrome. Since art is a part of everything we do, everyone is an artist in some shape or form. Not everyone’s art looks the same, and this should not be a deterrent against working. One of the most beautiful parts about art is that people resonate with and see themselves in it. In the words of Touré, for another day, it can help someone survive. After the discussion, I found a renewed sense of purpose and dedication for my art. They say that if people see themselves in an artist’s work, then the artist has done his job correctly. Here’s hoping that my future work will allow people to see themselves within it too. For now, I will keep writing. This entry was posted in Reflections and tagged Muslim, Student Organizations. Bookmark the permalink.